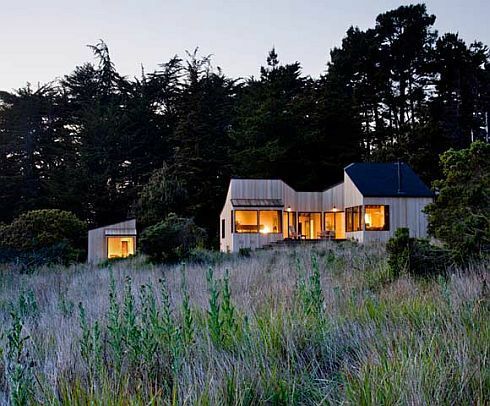 San Francisco-based Turnbull Griffin Haesloop Architects have built a minimalist house with amazing views over the Pacific Ocean. 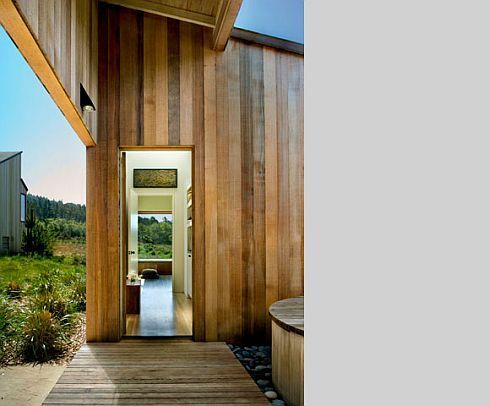 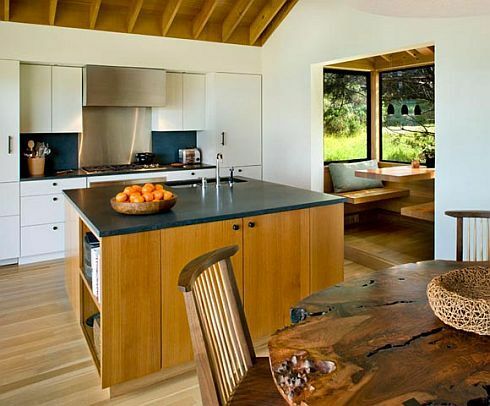 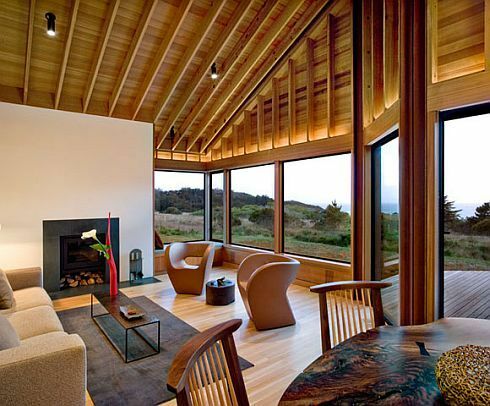 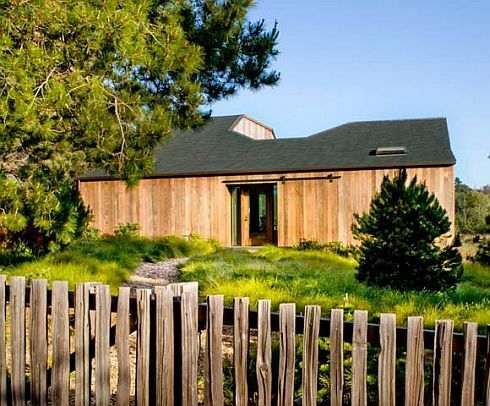 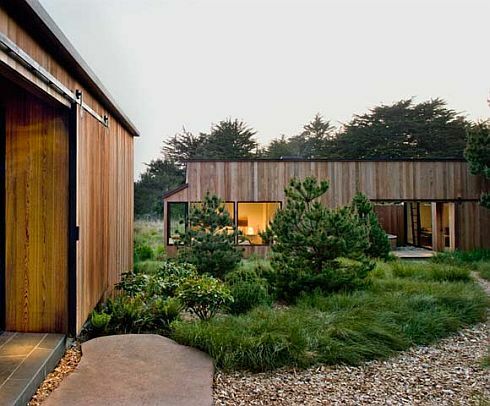 Secluded on a hilly mountainous landscape, the Sea Ranch Residence is almost entirely clad in wood. 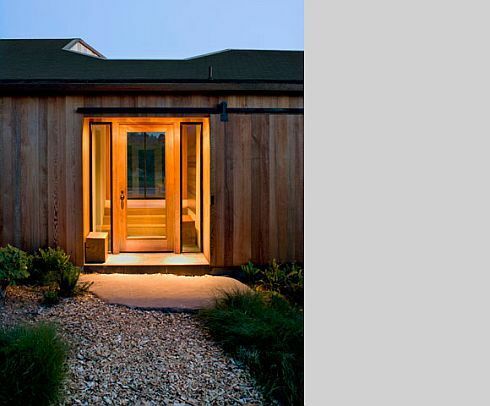 Simple on the outside, the house charms with its warm interior that features cedar ceilings and sheetrock walls. 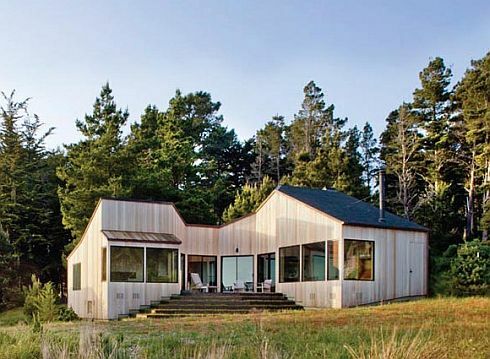 With large windows that welcome natural light and contemporary furniture, the modern ranch looks like the perfect getaway for those who enjoy both the chilly nights in the mountains and the sunny days on the beach.